While visiting a blog that I like to peruse, I found this recipe. I am forever making too much coffee for us and we use it most of the time for iced coffee, but would really like something else for a change. 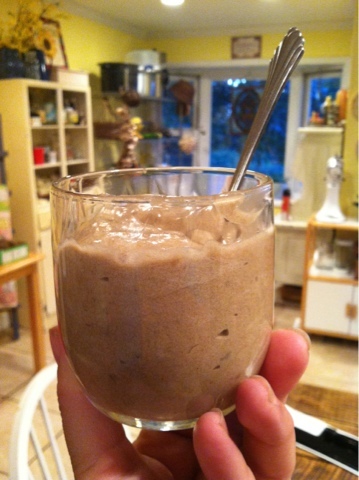 Last week, I made this recipe and it was a hit... for those of us who enjoy the coffee flavor. My younger children insisted that I stick with chocolate or vanilla for them. In a large saucepan, combine the sugar, flour and salt. Stir in coffee until smooth. Cook and stir over medium-high heat until thickened and bubbly. Reduce heat to low; cook and stir 2 minutes longer.